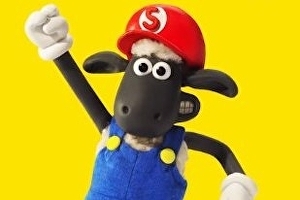 Shaun the Sheep will be playable in Super Mario Maker from tomorrow, 3rd June. You’ll be able to unlock Shaun by completing a new event course. When playing as the sheep you’ll also be able to pose in Mario’s trademark cap and dungarees.